Do not waste your precious time if you are still using the default blogger template. We are ignoring default template due to several reasons. A blog using default blogger template will never get better rank in search engine as well as also have less subscriber. No professional design & looks ugly. This is little about designing. A default blogger template is not SEO friendly and not robots lover. It will give you alot in search engine results. Since we have been analyzed since from few years that there is no pro blogger which uses default blogger template.. So then why are you waiting for >> just change your blogger template & make it perfect lover for all search robots. Now Turning into premium template. To change your template a helpful post is waiting for you just visit the below post. 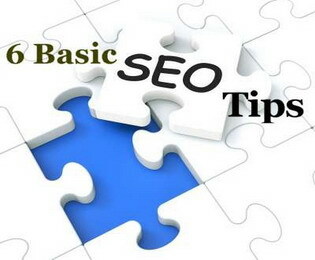 This one is the second basic seo tips for all blogger users after applying premium template on blog. Robot header tags is an advance option came into being with new blogger interface. robot header tags is also known as Search Preferences (SP). The (SP) consist of several options which specify different task by enabling or disabling these options. It will escape your blog from duplication data & blocked the labels and archive pages. To know more about how to setting for custom robots header tags then follow the below post. This is one of the foremost job to add custom robots.txt file into blogger dashboard. By including this file in blogger it will bring dramatic change in your blog traffics. One of the biggest advantage by using robot.txt file is that it tell the search engine how to crawl the blog. Robot.txt file give instruction to all popular search engine and tell them which part of your should be access for robots and which parts of your blog should be blocked forever from indexing. We would strongly recommended if you are still unaware the basic parts of robot.txt file the read the below article. With the invention of new blogger interface there were following additional features included by Blogger Officials. The blogger new interface is fully SEO friendly and robots lover by including this Advance options (Meta Description). It summarize blog or post page for robots that what about this page is?. Meta description work for blog home page as well as we could also easily insert separate meta description for blogger each post. If you want know more how to add separate meta description for blog and blogger each post the read the below article for better understanding. If you want to touch your post the height of success in search engine result the first job is to customize your post title for search engines results. Always try to add reach keywords in post title. Add relevant keywords according to your entire post content. Also Make your blog post title SEO friendly by doing these all title customization inside blogger template. To know more about how to make SEO friendly Title for search result the read the below given article. This is one of my favorite Tips (rel author tag). This is basically google webmaster tools function which allow to show blog author picture in search results with Blog, Posts & pages. It will increase your post rank well in search engine. If your Blog post visible in search engine along with author picture then there is no doubt to have thousands of visitors from that single post. This tips will only work in google search engine. You can easily implement this tricks on blogger and wordpress by same process. To adding rel author tags in blog to show author image in search result then view the below post. Hi guys this post is little about the top basic blogger seo tips for search engine results which make our blog rank higher in all popular search engines results. These are some of the basic blogger seo tips for every newbie blogger which should must follow by starting their blogging journey with Blogger CMS. These all tips is personally implemented by PBT before publishing it with readers. We are guaranteed if you use them accurately then there is no doubt to be have ultimately success. Please We would strongly recommended if you want to make long chain string with Search Robots then follow all the above tips and make your blog SEO friendly for Search Engine. These are best and important tips for every blogger. I'm already using these all. Hope I'll see something new at PBT. Thanks for Looking for the first time here. Bro are also landed on your site. that has cool designing but keep try to updates thats is. Thanks getting you here and hope to see you in my next tutorial. Oh Abdul Bro do,nt say that words "SIR" we are not higher then you all we are same and will be remain. We are brothers to help each others in right way thats is. You are one of my favorite readers encouraging my all the time. we will also soon including some of our loyalest readers blog url in our about me page. In coming days we are going to make a beautiful about me page then we ill be placing there a neighbor blog url. Happy ! Yes shakeel bro newbies do not know they only start their blog with blogger platform and soon they left blogging career in short duration because of getting no positive position and that is mostly made by theirs own hands. So if they try to customize and apply all these tips on theirs blog then we are guaranteed that they will love blogging because of having massive traffics from search engine. thanks for finding you all the times here. Thanks Naeem for coming here. I love to see you all the here with PBT readers. Thanks for your appreciations and hope to see you soon here. How can I choose a single one. All these tips are wonderful and all bloggers must follow these tips to make blog SEO friendly. Oh Arshad Bro i think we did not back a reply you ask about guest posting on PBT. Appologies for delay bro actually there is no light for a long time here in Bannu city. Here is all the time loadsheding, Now we are sending the email just check it right now. thanks for becoming a loyal reader of PBT. Yes Everyone should must follow these all tips if they have started their blogging journey with blogger platform this will give alot once if follow it correctly. Thanks for coming again. bro you post is seems to me something like Ankit's latest post??? Bro Ankit has published it today but i have published this post since two days ago. Just check the date on my post and there. got it. It's awesome to go to see this web site and reading the views of all mates about this piece of writing, while I am also keen of getting experience. Thanks for mentioning my tips but I was not aware that you are asking for the post otherwise I would have given some more tips!! As a blogger, this blog helped me a lot. The tips are very useful. I will try to implement it in the future. Hello. I need a little help of yours. Last time, Google crawled and indexed my blog and posts on 27th June. Till now, Google has not crawled my blog. I have submitted sitemaps, fetched as Google, requested to crawl my blog, still no response at all since from 27th June. I have made some changes like adding metatags, added new posts, robots.txt. Can you please have a look. Also I am having some problem with indexing posts. Total I have submitted 13 posts but only 7 indexed. I have even re-submitted sitemaps, added the atom one which one mentioned by MBT. Tried every possible way. Bro do not do any thing and do not resubmit your site again and again. i was also like you in early days. Bro just keep update your blog it will automatically indexed the pages. for more guide lines just contact me on facebook. Okay Bro. Thanks for replying. By the way you have done some serious customization. Your blog looks great! Could you please post a blog about Robot Text and the Sitemap? This is perhaps the most thoughtful, useful article of this type I’ve seen. It goes beyond a lot of the surface-level ideas I’ve seen repeated over and over in other places. Well said! Content is more important and it should be useful for the readers. This is useful tips for new blogger. Thank you for sharing such a nice tips for blogger. Hafeez bhai i have creat a blogger 3 months and daily works on it. But problem is this when i search on google or other search engine about my blogger then they does not show my blogger plz. help me. Bro i think you do not have yet submitted the sitemap to google and yahoo search engines. Submit sitemap to these popular search engine hope you will get the result there..
if you still getting a problem than join us on facebook i will customize it for you thanks. Is it really have much importance in search results? As i haven`t implemented it yet. Should I ? Notice that I only verified my authorship in google via mail and after 1 week , profile picture automatically appeared in search results. yupps....that was very simple and easy too. These tips and tricks are just amazing. Nice post bro.. Really helpful !! I am new blogger. Please visit my blog www.tricksroad.com and let me know your thoughts.